These easy kid-friendly popsicle recipes are our FAVE way to beat the heat! Whether you have a serious sweet tooth or want something on the healthier side, one of these four fun recipes is sure to be a huge hit in your household. We can’t get over how cute these watermelon pops are either… don’t worry, those “seeds” are actually something way tastier! Keep reading for ingredients and recipes and be sure to check out all our cool personalized summer gifts here! Click here for fresh fruit popsicle recipe! Click here for gummy worm popsicle recipe! 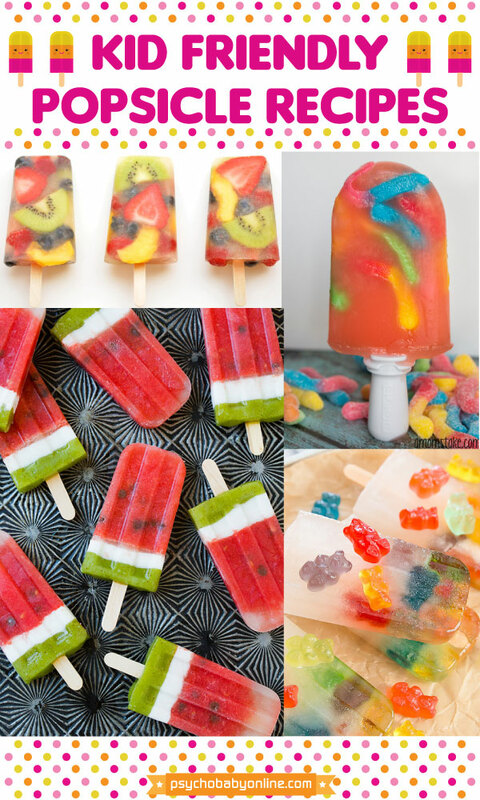 Click here for gummy bear popsicle recipe! Click here for watermelon popsicle recipe! 1. Make your very own cute shark out of paper! All you need is glue, scissors, a couple clothespins and some heavy paper for this jawesome shark craft. 2. Dress up your pet! The cat dressed as a shark riding a Roomba is one of the all time great vids, re-enact in in your own home with this shark hat for your shark-cat! 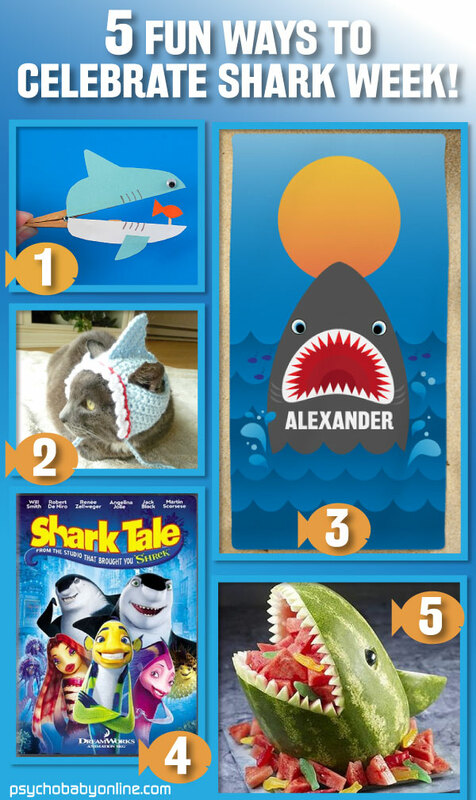 3.Claim your piece of the beach in true shark style! Go for a swim with our Personalized Shark Bait Beach Towel ($40). 4. Enjoy some screen and maybe some screams by watching a shark movie – our vote is obviously Shark Tale for family movie night, and after the kiddos hit the hay you can go with the obvious choice, Jaws, or one of the many newer, even scarier shark flicks: Deep Blue Sea (sharks and Samuel L. Jackson? um, yes please), Open Water (almost too terrifying! ), Sharknado (no comment necessary), or 2016’s The Shallows. 5. Feast like a shark on this shark shaped fruit salad! Celebrate the yummy fruits of summer by making this scarily delicious Sharkmelon! Shark week kicks off this Sunday – click here for the full schedule (Michael Phelps vs. a shark, C’MON!) and make sure to check out our other personalized shark-riffic gift ideas here! 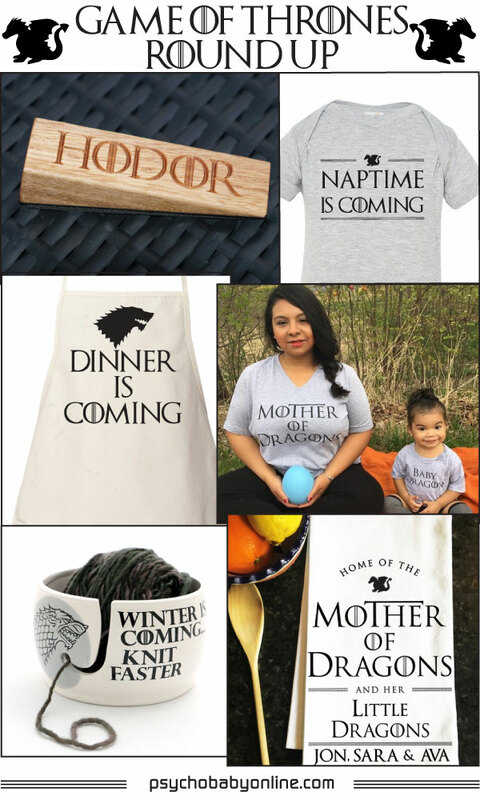 Game Of Thrones Inspired Gifts for Your Family! All you Mothers of Dragons & Nights Watchmen get ready-Game of Thrones is COMING! So is winter, eventually, but let’s keep enjoying this summer and the premier of the next season of GOT! Oh, whats that? A girl isn’t a fan? Here are some hot Game of Thrones gift options for the super-fans in your life! One of our top-selling T-shirt sets is the Mother of Dragons and Baby Dragon set featured here, it’s sure to be received well by even the most discerning of Khaleesi. There’s something here for everyone in our GOT roundup – click here for all our Game of Thrones inspired gifts!